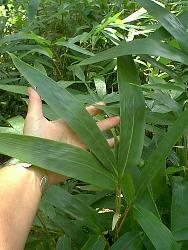 This species makes a beautiful lush screen with leaves up to a foot in length. With its lower foliage, it is perfect for an outstanding bamboo screen under 10 feet in height at maturity. I recommend this species for USDA Climate Zones 6 and warmer.